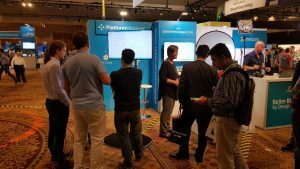 Qonnections 2018 – What a great week! We just returned from Orlando after a great week with lots of news and interested people on our booth. We would like to thank all visitors for their interest in our Application Governance solution. It was overwhelming to see so many of you during ou r breakout sessions. Great to see that many of you are looking for ways to manage a growing Qlik deployment. Hope to see you again next year @ Qonnections 2019 from May 13 – 16 in Dallas, Texas!